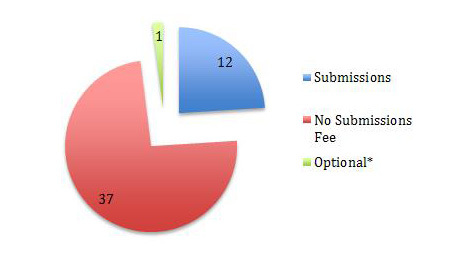 Submissions Fees R Us: To Pay or Not to Submit? 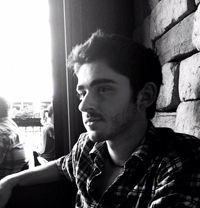 May's Publishing Tip (our first in a bimonthly series), written by past Malahat intern Matt Thibeault and editor John Barton, asks the questions many writers refuse to acknowledge: should we be paying to submit to literary journals? The debate over charging a nominal submission fee continues to divide writers. The imposition of such a fee, however big or small, challenges their loyalty to the literary magazines that have started charging and shifts their expectations about the role these journals should now play in their writing lives. The controversy was already sufficiently contentious in December 2011 to attract the attention of the business magazine Forbes. 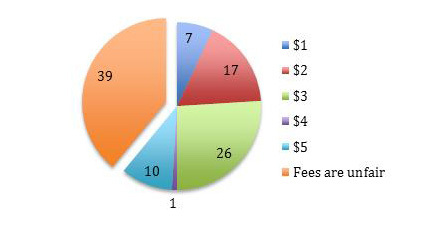 In a sample of 50 journals in Canada and the United States, The Malahat Review found that 12 now charge submission fees, 37 do not, and one has made the paying of a fee optional. 33% of these magazines that now accept online submissions charge submission fee. Most magazines that have instituted a submission fee charge $3 or less; one (The Catamaran Literary Reader) sets its fee at an exorbitant $15. There does not seem to be any correlation between free submissions and magazines associated with universities; many publications directly linked to creative writing programs (e.g. PRISM international, The Harvard Review) charge submission fees. Nor is it surprising that those magazines with the most up-to-date or “modern” websites typically charge for submissions. 54% of the respondents stated that they have paid a submission fee before. 56% say they would not consider paying a voluntary fee when submitting. Asked if they had ever paid a submission fee, 54% of respondents indicated that they had; 16% said that they had not, but would be open to doing so, and 30% emphatically said “No, and I never will.” Only 52% were aware that a portion of any submission fee would be kept by whichever platform (e.g., Submittable) hosted a magazine’s cloud-storage submission site. 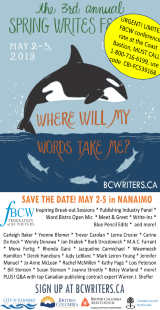 The Malahat queried writers’ attitudes toward a policy of charging writers a fee to submit, which literary magazines increasingly find it necessary to impose. 39% of respondents felt that submission fees were equivalent to paying postage; 39%indicated they would never pay to have their work read; and only 9.5% felt that fees are necessary to accommodate the increasing workload that digital submissions fees create. The most interesting responses are to question seven: “If you were made to pay a fee, how much do you think is fair?” Although 39% feel submissions fees of any form are unfair, 61% indicated that they consider some kind of fee to be “fair.” 26% feel a $3 submission fee is reasonable; 10% say that they would pay as much as $5. “Online submissions are all about convenience. Convenience for you. For us, on the other hand, it involves a little more work and a little more cost. Increased costs include printing, postage, and labour. By charging a small fee—which, in most cases, is no more than the amount a submitter would have spent on paper, ink, an envelope, and postage—we can recoup those costs. Any small amount that may (or may not) be left over after our expenses will go to supporting PRISM’s printing costs. Something you can feel good about!” Read the full post here. In Canada, striking such a balance is probably less of a concern, but if the Malahat’s experience is similar to that of its Canadian peers, online submitting will change the way it operates. 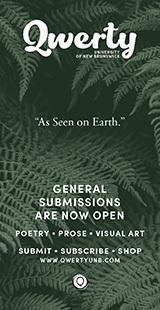 Submissions increased by 92% in 2014, the year it began accepting poetry submissions (in June) and creative nonfiction submissions (in October) through Submittable, in comparison to 2013. 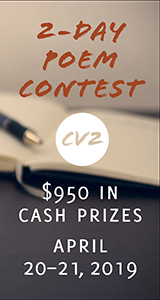 It will begin accepting fiction submissions online during the week of May 18, 2015. It had initially continued to accept paper submissions of poetry, but it phased them out entirely in October 2014 because the rate of receipt had decreased to the eight that were received in September. The Malahat used to receive up to 100 paper submissions per month. The Malahat predicts that the number of submissions sent to it will increase by another 50% in the end of 2015. Unlike its American peers, it is less concerned about the disparity between the number of subscribers and the number of writers aspiring to publish with it than with the significant increase in workload and costs that online submitting creates. 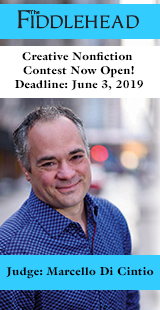 It now pays an annual subscription fee it to use Submittable (a cost it did not bear before) as well as the small honorarium paid to each of its editorial-board members. Because the number of submissions to be screened is growing rapidly, the editorial board is expanding in turn, which means its budget for honoraria must also increase significantly. Additionally, managing Submittable requires more editorial time because each submission must be assigned to be read by the editor. In the past, once paper submissions were logged and shelved by genre and according to the date received, editors came to the Malahat office to pick up submissions, taking only as many as they were able to read. All that was required to keep up the momentum was a friendly (if sometimes impatient) editorial nudge. 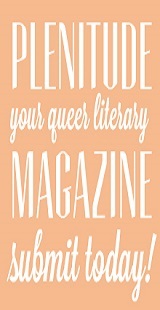 Now for your Publishing Tip: If you find you must pay a fee to submit to a magazine, don’t think of it as a payment to be read, or as Roxane Gay, the editor of Michigan-based Pank (pankmagazine.com) suggests, as a payment for the right to submit. Rather think of it as a way of assuring that, like writers, editors are recognized financially in some minimal way for their work in service of your art and as a way to help guarantee that the “Beat the Clock,” jerry-rigged infrastructure, which keeps many a literary journal running, holds steady with more than a hope, a prayer, and literary duct tape.